The Animal Fund’s long-term mission is to end the use of plastic bottle through inspiring people in saving our planet from the deadly waste overtaking our oceans. 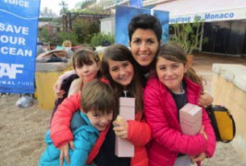 We want to bring together children and adults to participate in our ambition towards making our planet a cleaner and healthier place to live in, through fun, instructive and educative activities. 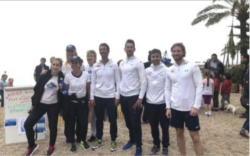 We had the honor to collaborate with Pierre Frolla; a triple World’s Recordman in Free Immersion and his team to take part in our animations. 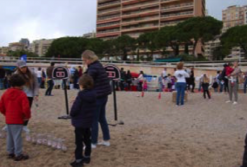 To support our campaign, television “Monaco Info” reported directly from the location of the event (Larvotto beach) with the aim of aspiring others into joining our fight against the plastic bottles. The activities we have proposed had the aim of raising awareness on plastic waste and its impact on our oceans if not recycled. We want to promote a plastic free lifestyle by replacing water bottles and other plastic utensils that take part in our daily routines with more sustainable materials. 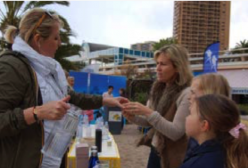 This activity involves the audience to answer and guess questions on plastic pollution. 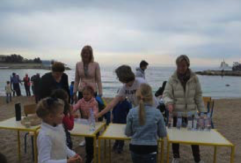 An entertaing activity for all to interact with plastic bottles and understanding the importance of recycling. 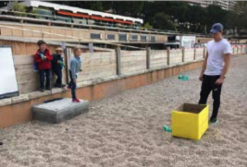 A fun game to encourage throwing bottles in the yellow containers as a reminder to recycle! Allows kids and adults to let their imagination on paper with the theme of drawing a happy and healthy fish living in a plastic free ocean. 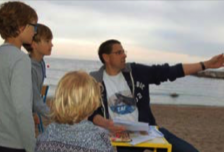 This allows kids to learn about plastic pollution via notes hidden around the beach. The aim is to throw bottles the fastest through the basketball loop as a reminder that recycling can be fun. 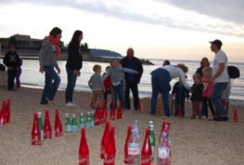 This activity consists of juggling plastic bottles the longest to win a prize. The aim is to see the weight and construction of a bottle. Consists of flipping the bottle up right without making it fall to the side. A fun game of plastic bottle awareness. Audience have the opportunity to squeeze as many bottles as possible in the least amount of time, making them understand that this should be done before recycling the bottles. And of course we had prizes and certificates for our contestants that took part in the activities! 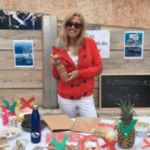 This stand is providing enriching information about the substitutes and alternatives to plastic in our daily consumption cycle. For example buying fresh fruits instead of fruits in plastic packages, glass bottles instead of plastic bottles etc. The bottles are specifically created for TAF -The Animal Fund to help promote a plastic free lifestyle by using stainless steel bottles instead of plastic bottles. These bottles are meant to be refilled when empty and are environmentally friendly. Plastic pollution is one of the most serious threats to the ocean as it does not biodegrade; instead, it breaks down into progressively smaller pieces, but never disappears. As a result of this, marine life is rapidly dying out. 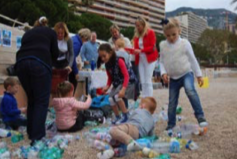 Therefore, our aim as a nonprofitable organization is to raise awareness on the consequences of plastic pollution and promote a healthier lifestyle for our planet. This campaign was mostly aimed at children and youth as they are the future generation that will have to repair the damages generated by us. It is important that we all are aware of how our habits have an impact on the ecosystem and how we can prevent further damage and danger to the ocean. This campaign brought together people from different age groups and different backgrounds but we are all fighting for the same intention, a cleaner ocean with an abundance of marine life.